For several years now South African law has prohibited the advertising of tobacco products - like Chesterfield cigarettes in the photo above. I found it surprising that this old sign is still allowed on this building. 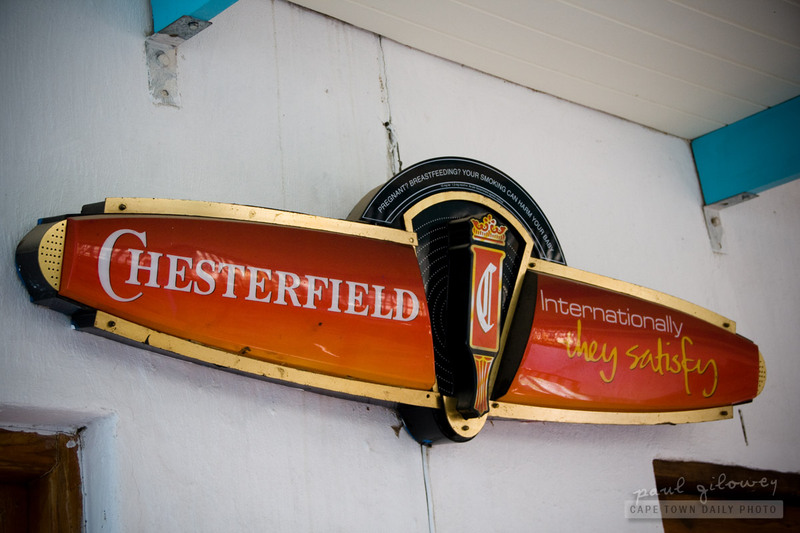 I guess the reason is that its doubtful that the owners of the Chesterfield brand are sponsoring it's existence, rather I'd be more incline to believe that the owner of this little restaurant is keeping it for the sake of posterity. Posted in General and tagged signs on Friday, 12 August, 2011 by Paul.